Family Law and Divorce Lawyer | Protect Your Family Law Rights Now! We’re here to help you settle your legal issues in your separation, divorce or family court case by protecting your rights and letting you move on with your life. Get in touch with our respected family law lawyer to find out how to start protecting your legal rights today! If you need an experienced family law or divorce lawyer to protect your legal rights and to help settle your separation or divorce legal issues or your family law problems, this may be the most important message you ever read. I sense you are feeling overwhelmed about what to do in your separation, divorce or family law case. Imagine what it would be like if you could tell your family members and friends that you have reached a settlement in your family law or divorce case and you’re happy with the outcome. My name is Thomas O’Malley. I’m an experienced family law and divorce lawyer in Durham Region, including Oshawa, Whitby, Ajax, Pickering, Bowmanville, and Clarington, and Northumberland County, including Port Hope and Cobourg, and author of Canadian Divorce and Separation Made Easier. With my 26 years of family and divorce law experience in and out of court, certainly I can help you protect your legal rights in your separation, divorce or family law case, settle your difficult legal issues, and help you move on with your life. Just imagine your life with your separation and divorce behind you when I have helped you settle your separation and divorce issues. Listen closely: To get a head start on solving your separation or divorce legal issues, call me now at (905) 434-8837 to set up your consultation. When you come to your consultation and discover how to protect your legal rights and solve your family law problems, you’ll see it’s worth your investment. Don’t wait any longer. 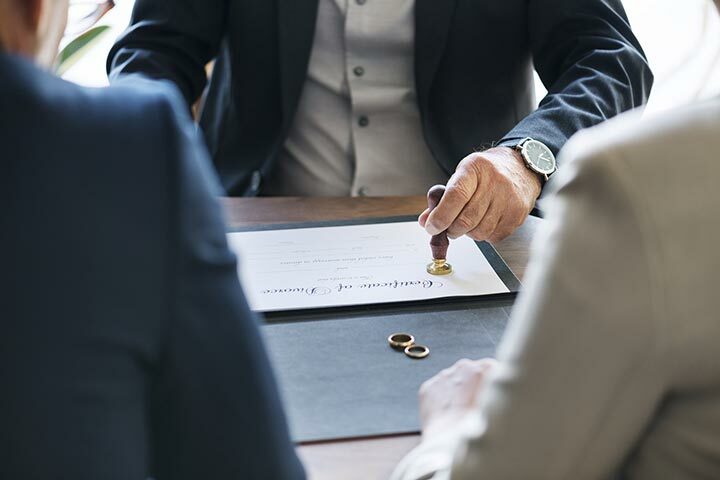 Right now, I’m inviting you to start on the right track to protecting your legal rights and settling your divorce and family law issues by calling me at (905) 434-8837 to set up your initial consultation. You’ll be glad you did. The truth of the matter is…I can help protect your legal rights and I work tirelessly to settle your separation and divorce legal issues so that you can move on with your life. I am committed to working with you on an individual basis to use the most effective legal strategies and approaches to get the best and most reasonable results for you that is possible based on my 26 years’ experience in family law and divorce law. If you have separation and divorce legal issues, please call me personally at (905) 434-8837 to set up your consultation. When you come to your consultation, I’ll recommend specific steps to help you solve these difficult issues. My recommended steps and strategies to your family law problems are based on your separation and divorce objectives and goals. They are designed specifically for you. 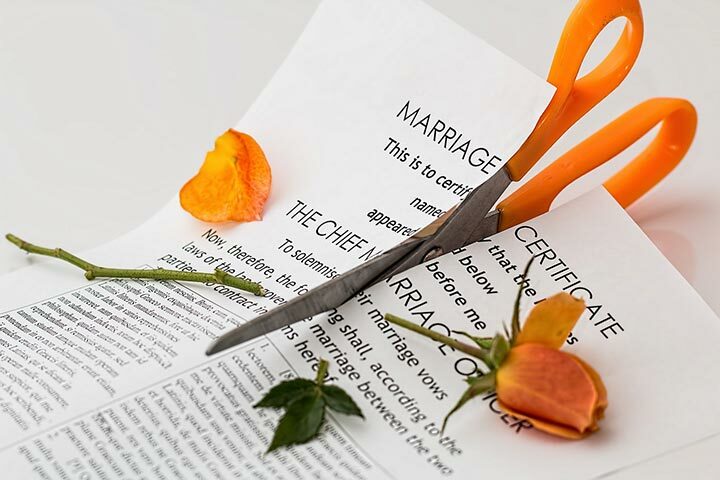 I’ll outline a plan to make your separation and divorce go as smoothly and quickly as possible. STOP and ask yourself where you will be in one month or two months if you don’t make this investment in solving your family law problems today, starting with a consultation with an experienced family law lawyer. Please call now at (905) 434-8837 to set up your consultation. I always make this promise: I work as hard as possible so that you understand your legal rights during this difficult time in your life. How You Can Meet Thomas O’Malley, Experienced Family Law and Divorce Lawyer and Author of Canadian Divorce and Separation Made Easier, So He Can Help Start To Solve Your Family Law, Separation and Divorce Legal Problems Now! 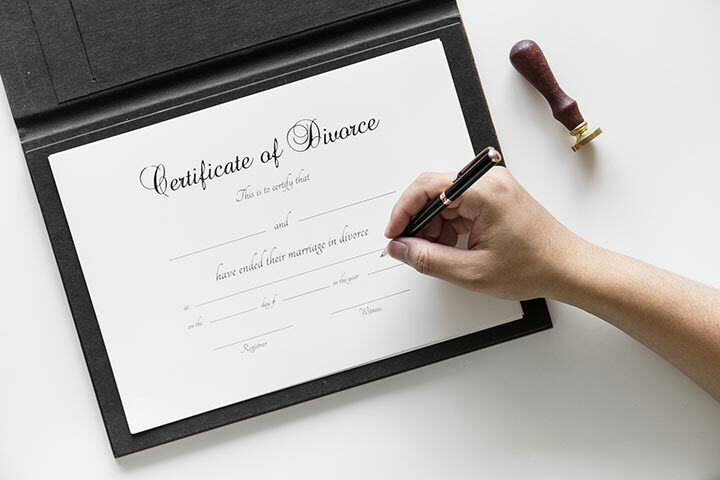 Usually people call to set up their consultation with Thomas O’Malley the first time they visit our website because they are sick and tired of trying to figure out what they should be doing so that they don’t make any mistakes in their separation or divorce. After you come to your consultation, you’ll have an excellent understanding of your legal rights and know the specific steps required to protect your legal rights. You can clearly see how a consultation will help answer your key questions and help you understand how to protect your legal rights. Please click on this link to find out How We Can Help or Contact Us now to set up your consultation. You can call us directly at (905) 434-8837 to set up your consultation. You made a real accomplishment by considering solving your separation and divorce problems today. Just picture your life when your separation and divorce legal issues are settled and you are enjoying the start of your new life. Call now for your consultation: (905) 434-8837. Get on the road to protecting your legal rights and settling your separation and divorce legal issues now! Thank you for your consideration to do business with us. I am as always as close as your phone. Please call anytime. You’ll be glad you did. Let us know about your family law problems and what happened by calling us today at (905) 434-8837 or filling out our contact form. We’ll be able to use this form to see how we can solve your family law issues or get your separation or divorce for you. Our family lawyer, Thomas O’Malley, will contact you for a consultation at his office to discuss the details of your case and give you important advice on how to protect your family law rights. Click here for your initial consultation. After you come to your consultation, we’ll get all documents, evidence and information needed to get you a settlement, divorce or represent you in family court to protect your rights. We’ll aim to settle everything on your behalf and preferably outside of court to reduce your stress and anxiety. Need Some Help To Get Your Separation or Divorce or Protect Your Rights in Family Court For Durham Region, Clarington, Oshawa, Whitby, Ajax and Pickering Residents? We’ll do everything we can to help you get your separation or divorce quickly and easily and defend your rights in family court. We’ll mange the entire process from start to finish on your behalf. Get in touch using the form on the right and we’ll contact you as soon as possible. Here’s a quick guide on how to choose the best family law or divorce lawyer in Durham Region, Clarington, Oshawa, Whitby, Ajax or Pickering for your specific situation and case. Discover 12 key questions you should ask a lawyer before hiring them. 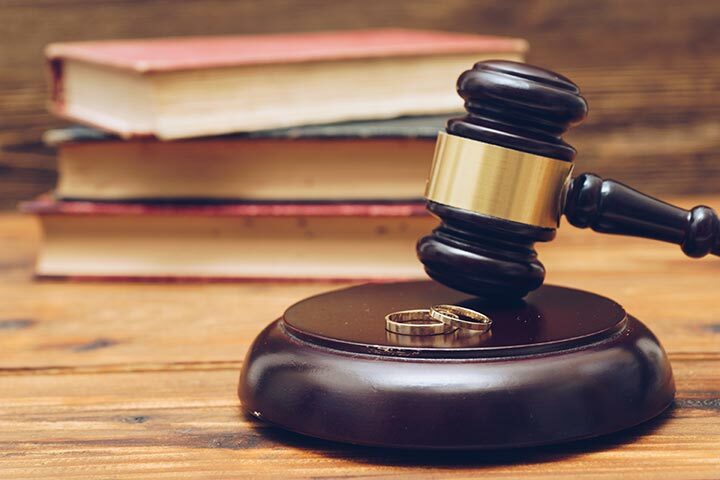 Before you hire a family law or divorce lawyer, make sure they are experienced in the type of case you have and devotes most of their practice to that area of law. How to Settle Your Family Law Issues in Durham Region, Clarington, Oshawa, Whitby, Ajax and Pickering Without Going to Court? Imagine this scenario: Unfortunately, you are facing a difficult time in your life your separation or divorce. You have just left your spouse and you are facing the unknown. However, you know your spouse is not really a bad person. In fact, you think you can settle your family law issues without going to court. You know you simply do not need the stress and anxiety of going to court and arguing over every little thing. Plus, you are fairly confident your spouse does not want to go to court either. You have your kids to think about as well. What would court do to them? Consider this second situation: Your spouse has left you? What do you do? Yet, you think you can work out the legal issues with your spouse. In both scenarios, you should try to negotiate a separation agreement with your spouse. You simply don’t need to go to court in many situations, especially when you and your spouse are civil and courteous with each other. You don’t realize it but in the next few minutes you going to discover how to settle your family law issues with a separation agreement. Here’s the best part: You can settle your legal issues in your separation, divorce or family law case with your spouse without going to court. You can save fortune in legal fees with this advice. Certainly, you first want to try to settle your family law issues with your former spouse with a separation agreement. 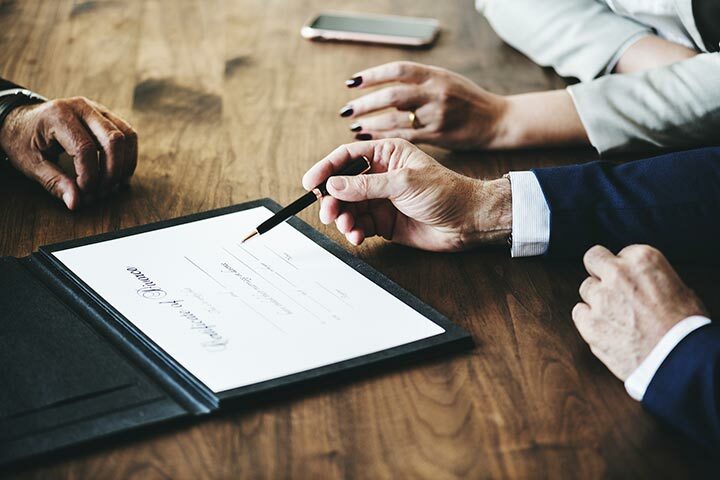 If you cannot settle your family law issues with a written agreement with your spouse, you should then seriously consider going to family court in the Durham Region courthouse in Oshawa, Ontario. Your lawyer will carefully listen to the facts of your case at your initial consultation. Your lawyer should then provide you with specific legal advice on how to defend your legal rights in the Oshawa family courthouse. Your lawyer will help you determine what specific court orders you want in your family court case based on the details of your situation. If you are starting the court proceedings at the Oshawa courthouse, your lawyer will prepare a court application on your behalf. If you are responding to a court application, your lawyer will prepare an important document called an Answer. Your lawyer will make requests for specific orders in your Answer. For example, he will ensure that you have claims for custody and access when you have children with your former spouse. After your lawyer has completed your court paperwork and you have approved it, he will arrange to have your court paperwork served on your spouse and have the paperwork filed in the filing office at the Oshawa courthouse. Your lawyer will then tell you about your first court date and how to prepare for it. Your lawyer should prepare a proposal or Minutes of Settlement to send to your spouse to settle your case during the court process. Your lawyer will prepare your brief or court paperwork for your Case Conference in front of a judge in family court so that the judge has a clear understanding of the issues in your case. Listen carefully to what the judge tells you at your Case Conference. You often have to attend one or two other court appearances before you have a trial if you do not settle your case with your spouse. You will go to a trial scheduling conference to make sure your case is ready for trial. You have a trial about your family law issues. The judge will make a decision and orders about your family law issues. For excellent representation in Oshawa family court, call Thomas O’Malley, experienced Durham Region family lawyer, today to represent you in family court. Contact him at (905) 434-8837. You’ll be glad you did. We’ll do everything we can to hope you get your separation or divorce quickly and easily and defend your rights in family court. We’ll mange the entire process from start to finish on your behalf. Disclaimer: The information provided on this website is for general informational purposes only and does not constitute consulting or legal advice or create a lawyer-client relationship with Thomas O’Malley. Please read our entire disclaimer prior to reading information on this site. Copyright © 2019 Thomas O'Malley. All rights reserved.